Do you have that annoying problem that seems to span several areas like hardware and software, or quality and design, and you keep getting nowhere? Does it seem everyone knows something but no one knows enough about several disciplines simultaneously so they can take a decision on how to move forward? It sounds like you need someone who’s been around the block, will make the call and stand for the results, and has the most pragmatic of attitudes to boot. No worries: we are here to get your stuff done. After over two decades of audio experience we’ve been around the block. We have played the field. 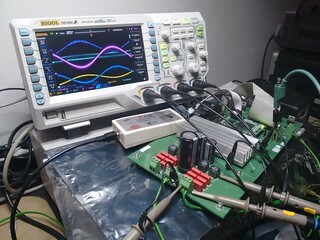 Analogue and digital circuit, IC and system design, DSP algorithm research, design, modeling, implementation and optimisation. Architecture and specification management with customer interaction. FPGA prototyping. PCB design. Evaluation and measurement. Test solution design and optimisation. Prototype bring-up. Production optimisation. Automotive qualification. Applications. 8D. Educating, managing and mentoring staff. DfT, DfM and most of all DfX. But what’s more – being able to live in more worlds simultaneously, we recognise issues that people with their departmental blinds on don’t see. We see the hardware reason behind that oddly behaving interrupt software routine, the yield issue with that text book perfect design, and know how to explain to your customer that building it differently saves both you and them money. Mercedes S-class. C-class. SLS electric drive. V-class. AMG GT. Porsche Panamera. 911. Boxster. Macan. Aston Martin One-77. Vantage. BMW 2, 3, 5 series. Mini. Fiat FA520. Jeep Renegade. Audi Q7, A8. 5 years of experience in working with customers as partners to help them define the parameters of their systems, the DSP algorithms and the behaviour and coexistence in the car has produced systems that are not just extra options – the latest generation of sound systems define the car and the experience of driving almost as much as the engine and the body. No, not the directional made-by-moonlight scam stuff, but well thought-out form-follows-function gear. 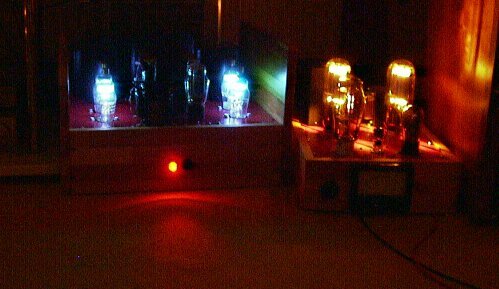 An amplification chain from 1 uV phono pick-up to over 1 kV electrostatic speaker drive with just 7 active elements in the signal path, for instance. Or a digital control loop around a current- and voltage speaker, a beam forming line array, we will apply whatever it takes to be the best. Call us crazy but we have that old-fashioned belief that in order to be successful, your first focus should be on building the best product you can build given your resources. And the best is not always the most complicated, nor the most expensive. 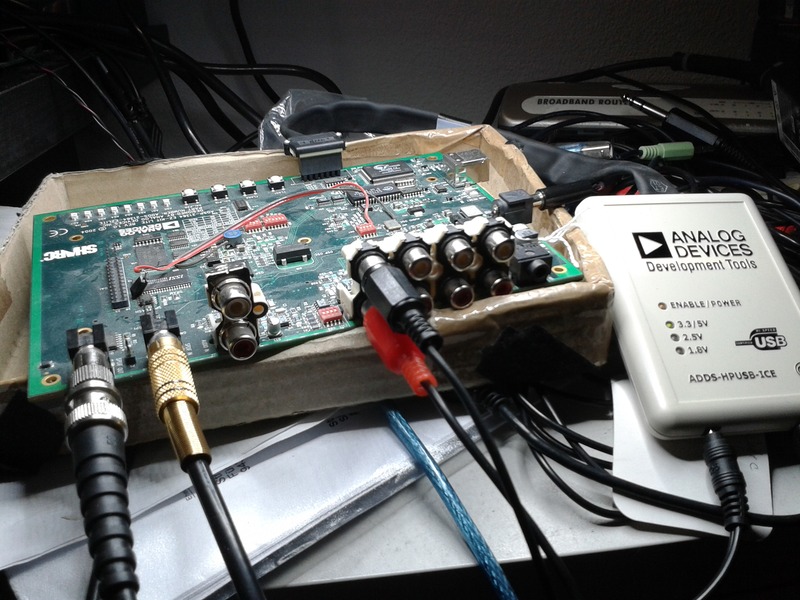 iPod 2008 / 2009: DSP and analogue audio work. “iPod nano, Grey edition” copyright by Mike Hammerton on Flickr, used under CC BY 2.0 license. CE is, contrary to belief, much harder than high end. It is here that apart from performance, power dissipation features, price, size and time to market come into play. Having earned our battle scars in silicon valley we know the time lines and competitive pressure. Our work is found in actual large volume products – not in day dream idea projects never going anywhere. We call those out when we recognise them. If you want to hear that all your ideas have been brilliant – we’re not your guy. Three quarters of solving the problem is figuring out what the problem is. An sometimes even whether there is a problem at all. We will always keep asking ‘why’ and only go to implementation when the problem is perfectly clear. Sometimes the solution is not to add something but instead to take something away. Yes, Agile is great and of course we iterate towards better solutions. However starting to soon just for the sake of looking busy is the longer road in the end. Here you come full circle with your design and as such it does take cojones to verify every assumption that was made. We do that. We also go outside of the safe regions and see how far the product can be stressed. Only then will you understand whether the design was optimal or not. 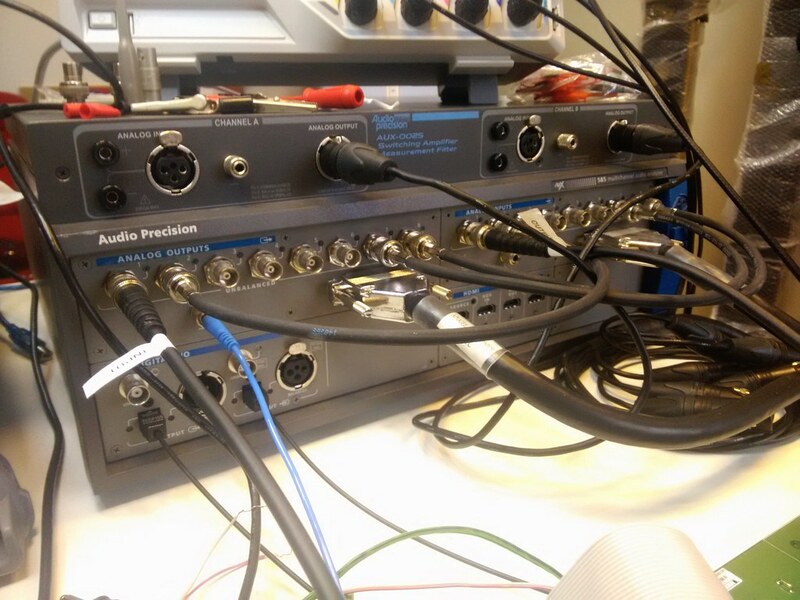 We have direct access to Audio Precision APx585, AUX-0025, Dual Domain SYS-2322 + 7 filters + IMD plugin, Rigol DS-1104Z oscilloscope, DP832A PSU, Fluke 123 scopemeter, 189 DVM, full SMD rework stations and many others through industrial and academic licensing. Can anyone develop software? Probably. But in the case of audio it’s never just software. It’s either DSP, or embedded microcontrollers, or FPGA/CPLDs, or even any combination. You need an audio expert to write this kind of software and we wouldn’t want to write any other. We speak fluent Matlab, Simulink, C(++), Python, Perl, Bash and have experience (and the development environments) for Blackfin, Sharc, Sigmastudio, V850, PIC, AVR, Xilinx and many other processors. We don’t forget who is eventually paying for your development and always keep the system in mind as well as the part under design. At the same time we do know that extra functionality may be worth something to your customer. It is here where we strike the right balance that has both you and your customer feeling content that you got great value. We hope the blog here gives you an idea of our style. Other examples such as white papers, application notes and data sheets are available on request. is written with a capital Q here. Why? Because we already have learned that there are no quick fixes. Mistakes are costly and time consuming, so we take our time to prevent them from happening. Most importantly – we provide proper documentation. Not just on the delivered design but also how it was conceived, with parametric scaling instructions in case you need something twice as fast or half as big next time around. We won’t lock you in with mysterious code or designs, but rather with a level of IP maturity that will have you come back on your own volition. We have a full spice level 3 audit ready process flow for high reliability- and safety critical design. If there is one thing we pride ourselves on more than anything else it is our pragmatic attitude. With a solid foundation in theory, maths and physics and at the same time a “let’s build it and see that theory come alive” approach, we actually get things done and come up with solutions that are simple, elegant, comprehensible and cost-effective. We deliver turn-key solutions that you can take into mass production and will work with your developers to make sure they can continue to work with our deliverables. Contact us to see whether we can help you for a day, a week, a month or a year, or whether we can’t help you at all. Feelings may get hurt. But you’ll be the better for it. We love a challenge – try us!